America was determined to go to war. Curveball had the information they needed. One problem...He was lying. 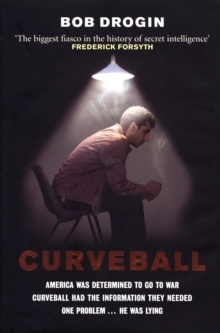 'Curveball' was the undercover code name given to the mysterious defector whose assertions set the Iraq War in motion. A desperate young Iraqi applying for political asylum in Munich, his first-hand 'evidence' on Saddam Hussein's biological weapons programme would ultimately be a central plank of the Bush administration's justification in launching an invasion. Trouble was, virtually everything he told the intelligence services was a fabrication.Pulitzer Prize-winning journalist Bob Drogin, who broke the story to a shocked world, has written the definitive account of the most notorious intelligence fiasco in recent American history. How Curveball hoodwinked his handlers in the German secret services. How petty nationalistic rivalries meant the CIA never even got to meet their primary source. How squabbling, arrogance and incompetence within the various US intelligence agencies allowed Curveball's lies to spread higher and higher up the chain of authority, eventually reaching the White House itself. 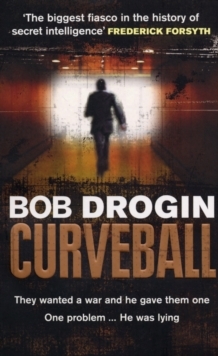 An irresistible story of international intrigue that twists its way from Germany to America to Iraq and back again, "Curveball" shows how honour and dishonesty amongst spies led to the US and the UK becoming embroiled in a catastrophic war.